Motorsports, car shows, and relaxing rides on country roads. we're also becoming somewhat an area with the fondness for mechanical horsepower. the Sealy area could be the place for you. you're sure to enjoy the road trip. 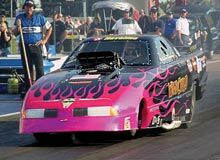 The main attraction, Lonestar Motorsports Park, an IHRA sanctioned drag strip, is just outside Sealy. So if you really need some excitement, come as a spectator or as a competitor. just outside of Sealy, next to Hennessey Performance Engineering. On Exit #713, Beckendorf Road, head West on the feeder road - south side of I-10. The track entrance is 1.5 miles down on the left. 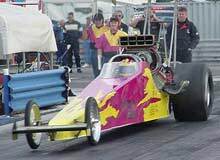 • IHRA sanctioned dragstrip in the IHRA Division 4 region. • Track Length: 1/4 mile with 2,100 ft. shutdown, 3 turn offs. • Track Prep: Long-held reputation for exceptional traction. and promoters of special events. Call 979-885-1300 for details. • 143-acre site located on I-10 just west of Houston. • Grandstand seating for 1200 spectators. • Concession stand with enclosed, air-conditioned eating area. • Men's & women's restrooms as well as some portacans. • Sells several formulations of racing fuel. Our area if brimming with car people. Many antiques, classics & muscle cars are just a twist of a key from being out of their garages and cruising to area shows. 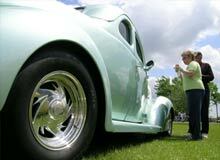 Austin County Cruisers Classic Car Stampede the first Saturday in March. The Sealy area offers several smaller scenic highways to soothe a bike rider's soul, whether it be motored or not. Ride out and enjoy our great scenery, our great food and share some of our many things for you to see and do.